21. HTC Hero (smartphone, $180 with two-year contract from Sprint) HTC's third Android OS-based smartphone is loaded with features and offers plenty of customization options with HTC's Sense user interface. Nevertheless, the Hero's performance can be sluggish and its video is unreliable. 22. Microsoft Zune HD (digital media player, prices start at $220) This is the Zune we wish Microsoft had released last year: It's faster, it's easier to use, and it has a sexier design. Whether you use the Zune to watch HD video on your TV, pair it with Microsoft's splashy Zune 4.0 software, or listen to HD radio on it, the Zune HD is a multimedia powerhouse. 23. G-Data Internet Security 2010 (security software, $30 for one PC) The best security suite we've tested this year is this little-known package, which racked up excellent scores at malware detection. Despite having an advanced interface, it's friendly enough to avoid alienating causal users--and it's attractively priced, too. 24. Lenovo ThinkPad T400s (laptop, $1999) Early in 2009, Lenovo released a rock-solid all-purpose laptop. For the T400s, however, Lenovo reduced the earlier notebook's thickness by half and (more recently) added a multitouch panel option to take better advantage of Windows 7. If you're a frequent business flyer, this laptop makes a trusty sidekick. 25. Boxee (online video service, free) There are many great online sources of video these days, and Boxee's software for Windows, Mac, and Linux pulls them all together, for free. The many different partnerships, licensing agreements, and rivalries among content companies can sometimes make watching online video seem like stepping into the middle of a range war. But Boxee consistently looks out for the interests of viewers, as evidenced by its continuing effort to show Hulu content, which offers commercial-supported streaming video of TV shows and movies. 26. 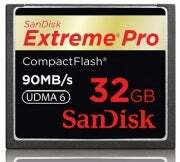 SanDisk Extreme Pro CompactFlash Card (memory card; $896 for 64GB, $560 for 32GB, $336 for 16GB) With read/write speeds of up to 90 megabytes per second, the Extreme Pro CompactFlash card is wicked fast. It's a bit pricey, but worth it for photographers who want to capture every a shot. I especially loved how I could easily shoot .jpg and .raw files without missing critical moments that I wanted to capture for posterity. For taking full advantage of your digital SLR's UDMA (mode 6) interface, this Flash card is worth its premium. 27. 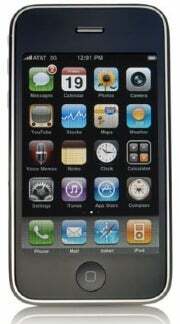 Apple iPhone 3GS (smartphone; $200 for 16GB, $300 for 32GB, with two-year AT&T contract) The faster processor and the improved camera are merely incremental upgrades, but the iPhone 3GS's new hardware augments some highly innovative software. Gaming runs more smoothly on the 3GS, making the iPhone a superior entertainment device. And being able to record video and upload directly to YouTube (finally!) adds a new dimension of fun. Battery life could be better, but the iPhone 3GS solidifies Apple's hegemony in the crowded smartphone landscape. 28. HP Envy 13 (laptop, base price $1699) This aptly named ultraportable, which incorporates design DNA from Voodoo PC, is a sleek, slim notebook whose neat metallic frame closely apes Apple's showpiece MacBook. A raft of high-end hardware (including Beats sound that bumps up the bass), however, indicates that a PC can do the job in style. 29. Atebits Tweetie 2 (iPhone app, free) On the iPhone, it's hard to beat Tweetie 2's clean interface and simple execution of Twitter's essential features. This charming app connects replies to the tweets that they're responding to and lets you manage multiple Twitter accounts easily. As mobile Twitter apps go, this one's a birdie to watch. 30. Panasonic Lumix DMC-GF1 (digital camera, $900 in two kit variations) It's not a digital SLR (there's no mirror box inside and no optical viewfinder), but the Micro Four-Thirds system Lumix DMC-GF1 offers interchangeable lenses, a compact frame, and 720p high-def video shooting with autofocus enabled. This model serves up the best blend of features and portability of any Micro Four-Thirds camera yet.